Here’s something to add to your wish list. 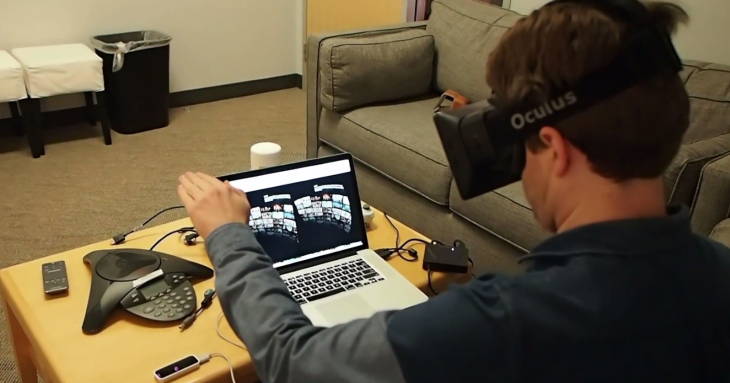 During a recent hack day, Netflix engineers built a custom interface for browsing the service on an Oculus Rift VR headset. The project appears to use the Leap Motion controller to include gesture support so you can wave your hand to scroll through movies you want to watch. The Oculus Rift isn’t quite ready for Netflix-level bingewatching, and there’s no guarantee this will become a real product, but we’re still hoping for the day when we can go full couch potato with a face computer. [These] are some examples of some of the hacks to give you a taste of what we saw this time around. We should note that, while we think these hacks are very cool and fun, they may never become part of the Netflix product, internal infrastructure, or otherwise be used beyond Hack Day. We are surfacing them here publicly to share the spirit of the Netflix Hack Day. Other projects from the event include a Philips Hue integration that matches your lighting with the show you’re watching, a retro text-based terminal and a miniature Web player for multitasking.